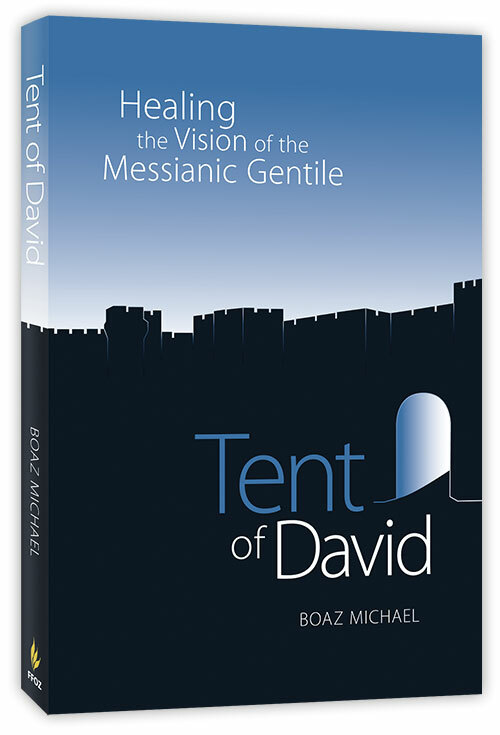 The Tent of David is our lost vision. It is the apostles’ dream of a unified expression of faith in which Jew and Gentile worship the God of Abraham together and serve him in the redemption of the world. Tent of David was written to inspire a majestic vision for the reformation of Christianity—to bring the church back to its foundations, eliminate supersessionism, establish a Jewish understanding of faith in Yeshua, and bring it into solidarity with Israel. The informed Messianic Gentile is uniquely suited to accomplish this goal. The Holy Spirit has begun a renewed awakening within the hearts of believers around the globe. Through kindness, good deeds, and a powerful, active witness, we can help put the church back on solid footing and contribute to the Kingdom directives of Yeshua. In order to accomplish this vision, Boaz Michael proposes a radical solution, one that he has lived out and which bears much fruit. He hopes to multiply his efforts by encouraging many others to join with him in this mission. What can you do to contribute toward the restoration of this vision? This book may help you find the answer to that question.